According to the British Lung Foundation around 1.2 million people in the UK are living with a diagnosed case of chronic obstructive pulmonary disease (COPD). This means that, after asthma, it is the second most prevalent lung disease in the UK. Furthermore, its incidence is on the rise, up by 27% in the last decade. Emphysema – a progressive and long-term disease resulting in inflammation of the air sacs in the lungs. Symptoms include frequent lung infections, the presence of mucus, and persistent wheezing. Chronic Bronchitis – a condition characterised by inflammation of the bronchial tubes. Symptoms include persistent cough, production of mucus, and fatigue. COPD also causes a number of other symptoms, including shortness of breath and chest pain. If you believe you are suffering from COPD as a result of your employment or factors relating to a workplace, then Thompsons can help. In order to take on your case, our COPD claim solicitors will need to be able to prove that your illness has arisen as a direct result of your employer's negligence. Please note, if you are a smoker and suffer from COPD we may not be able to pursue your claim – in such cases it is difficult to prove that COPD is attributable to causes other than tobacco smoking. Greater Glasgow & Clyde has the highest incidence of COPD in Scotland, with 4.4% adults suffering from the condition. This contrasts with the incidence of COPD in Western Isles (2.2%), Shetland (2.3%), Borders, and Grampian (both 2.6%). In the vast majority of COPD claims, compensation is paid to the claimant from the employer's liability insurance – a type of cover that is mandatory for all employers in the UK. However, if your claim is for an employment before 1972, when the legal requirement for liability cover was put in place, there may not be a paying party if the employer is no longer trading. If your claim falls into this category speak with one of our COPD claims solicitors to discuss your options. Thompsons Solicitors are industrial disease claim specialists and our lung disease solicitors can help you achieve justice in a claim for COPD. As a firm Thompsons is committed to ensuring access to justice for those who have suffered as a result of corporate and employer negligence. This is why we only ever act for the claimants in COPD claims; we do not act for defendants. 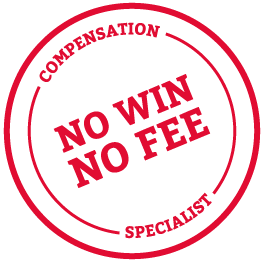 To begin your compensation claim today, call us on 0800 0891331 for help and advice.